Bangkok (16 November 2017): Thailand’s Provincial Electricity Authority (PEA), Messe Frankfurt New Era, and The Exhibiz Co Ltd today open Thailand Lighting Fair 2017, ASEAN’s leading trade fair on lighting technology, design and solutions. 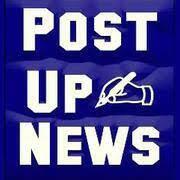 The event is being held for the third consecutive year and is at Hall 102-104, BITEC, between 16 and 18 November. Over 500 booths of local and international exhibitors are gathered at the fair, which showcases smart technology for the most efficient smart energy management. 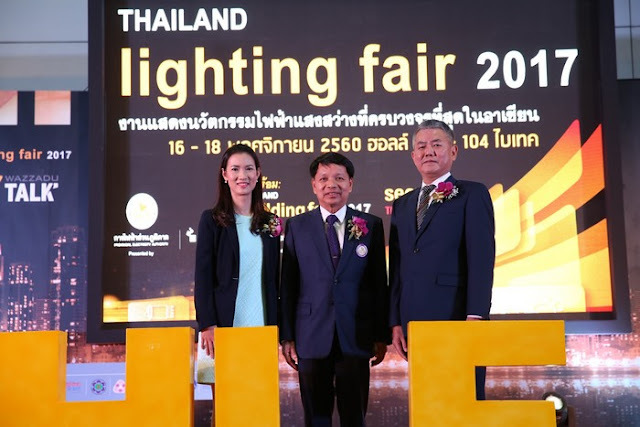 Thailand Convention and Exhibition Bureau, TCEB, has said that the Thailand Lighting Fair has been leveraged to be ASEAN’s leading international trade fair, and anticipates that the event will generate over 100 million baht for Thailand during the three-day period spanning the show. The Exhibiz expects to welcome 15,000 visitors from over 40 countries and generate over 1 billion baht projects from business networking. 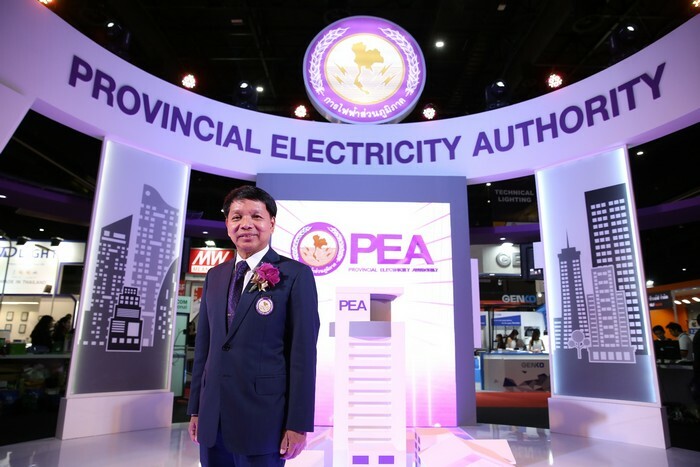 PEA Governor Sermsakul Klaikaew says that Thailand Lighting Fair 2017 is important to PEA, as PEA is the electricity provider for quality life and the promoter of energy efficiency. 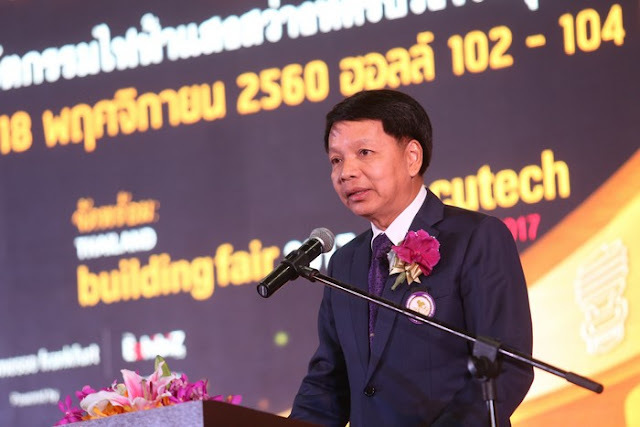 “Supporting the fair is one of our working plans under the Electric Utility of the Future policy, focusing on developing human resources with innovation and creating new jobs with technology in order to push Thailand to be a smart energy country in the future. This year the fair is delivering smart innovative products and cutting-edge technology with safety and creative ideas. These are designed to match with the easy urban living style. PEA’s booth occupies 180 sqm, showcasing PEA’s projects to support smart energy and energy saving as well as renewable energy, for example the PEA HiVE Platform, the smart energy platform for households to do efficient energy management. PEA is also displaying solar rooftops and a solar farm. The PEA seminar has four sections, namely on the PEA HiVE Platform, solar rooftop regulations, EV charger installation standards, and energy management. Moreover, there is a consulting area for government and private organisations as well as industrial sectors to consult on smart energy and energy saving. Pakwan Jiamjiroj, general manager of The Exhibiz Co Ltd, says that: “This year we have expanded the event space to 15,000 sqm. 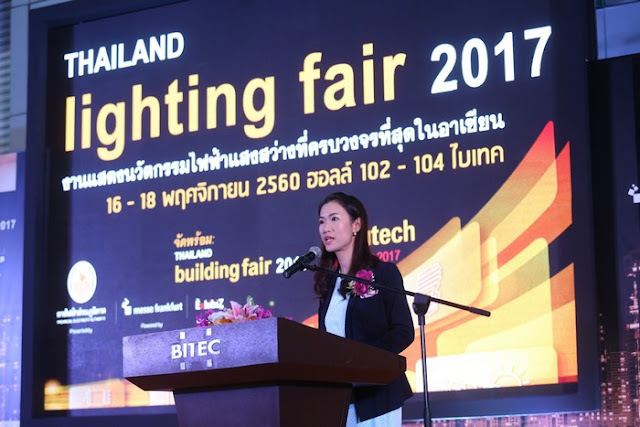 There are three concurrent events, namely Thailand Lighting Fair 2017, Thailand Building Fair 2017 and Secutech Thailand 2017. “Therefore, the show is a comprehensive platform that combines all technologies for lighting, automatic building and security systems. That is why this year’s theme is Smart City Safe City. “The larger event profile is also beneficial for visitors. 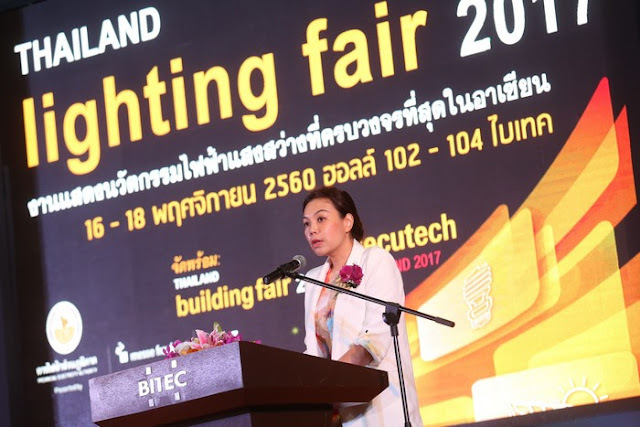 Thailand Lighting Fair 2017 is the significant trade show that drives industry growth with innovation, in line with the Thailand 4.0 policy of the Thai government. TCEB’s Kanokporn Damrongkul says: “TCEB is glad to see the continual success of Thailand Lighting Fair during the previous two years in terms of bigger event space, and an increasing number of exhibitors and target visitors. TCEB therefore is supporting the fair for the third consecutive year. 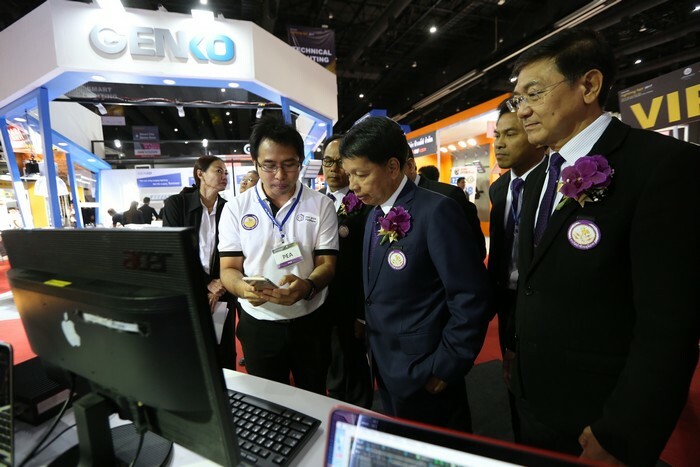 Thailand Lighting Fair is an important stage in driving Thailand 4.0 with the digital economy. 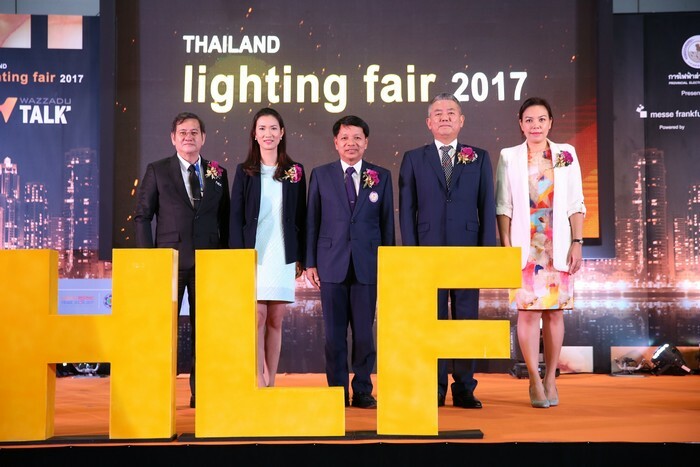 “The two-year success proves that Thailand Lighting Fair can be leveraged to be a truly international trade show in the region. Also, it is centre stage for business networking for the lighting industry in Thailand and ASEAN. This year, we anticipate the event will generate revenue of around 100 million baht during the three days spanning the show,” she says. 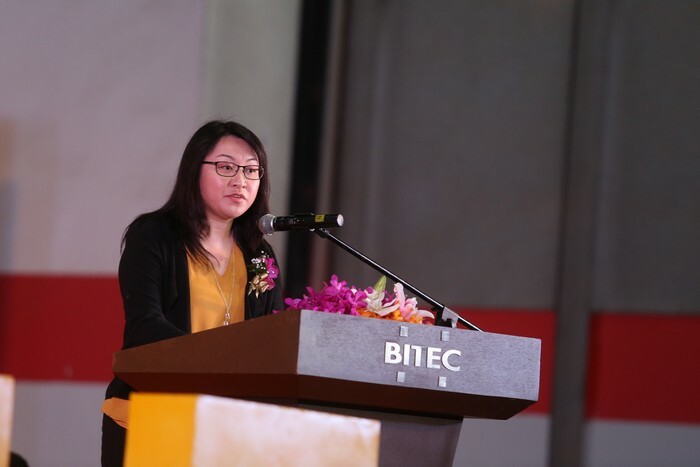 Ms Lucia Wong, deputy general manager, Messe Frankfurt (Shanghai) Co Ltd said: “Thailand Lighting Fair this year is for the first time being held concurrently with both Thailand Building Fair and Secutech Thailand, offering an exceptional opportunity for every manufacturer, distributor and visitor in attendance. 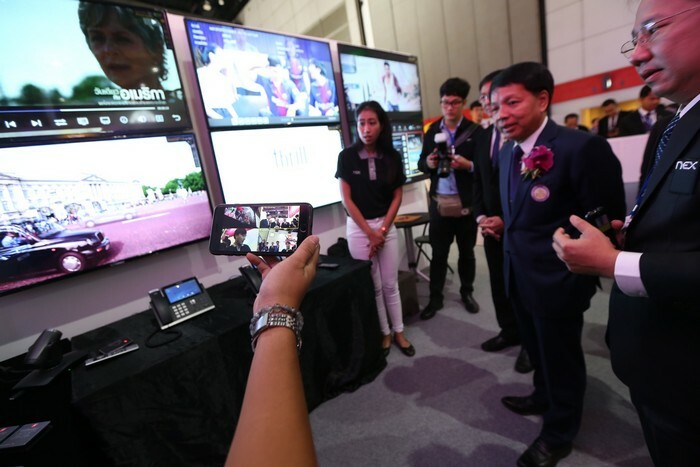 Pakwan added that: “The highlight this year is the Smart City Safe City Zone, which is the display zone of technologies to develop smart cities and safe cities. Architectural 4.0 “The Extraordinary Experiences” by leading international lighting designers such as Kaoru Mende and Martin Klaasen, and Thailand’s top lighting designers. Regulation of Net Billing Solar Roof/ Solar Business Trends in Thailand 2018.